Behind its apparent simplicity the ONE PIECE MASTER I is an incredible feat of engineering. The "One-Piece Master" is crafted from a carefully selected piece of ash olive burl, a very special wood that deserves unique treatment. To get the best from this outstanding wood, the "One-Piece Master" is carved out in one single piece. 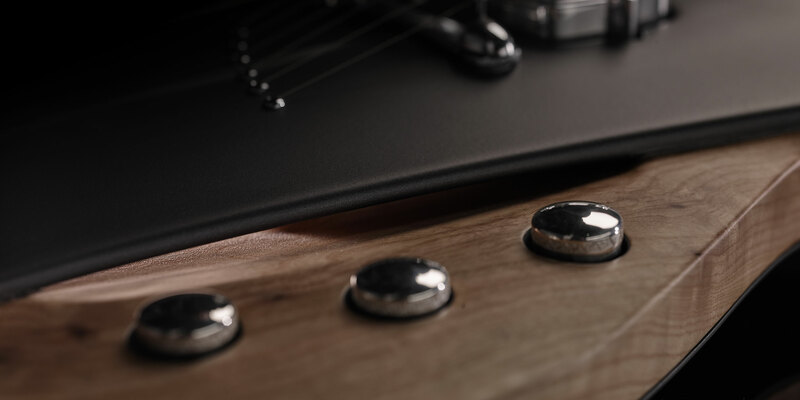 The uncompromising construction method has been pushed to its limits with a "through body" fingerboard that literally becomes the soundboard of the instrument. 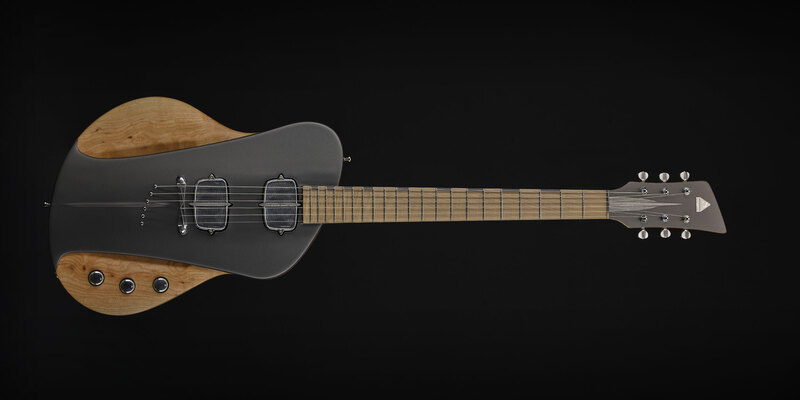 The concave body and soundboard of the "One-Piece Master" create a reverberation chamber that gives the instrument unequalled sustain and a unique resonance. Olive ash burl is a relatively lightweight wood, and sonically it delivers a very pleasing balance of brightness and warmth. 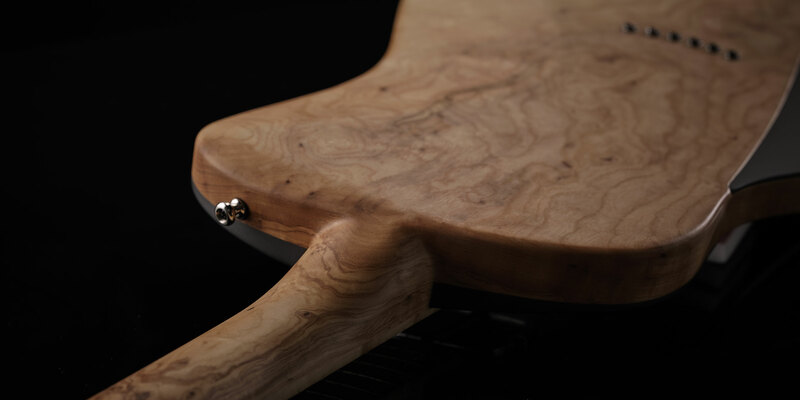 The flamed maple wood of the "through body" fingerboard is prized for its bright tone and great sustain. 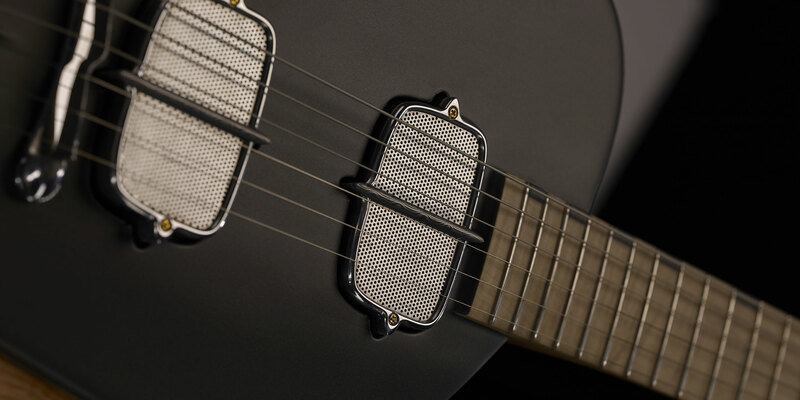 The neck is reinforced with 4 titanium rods ensuring neck stability and superior playing comfort. 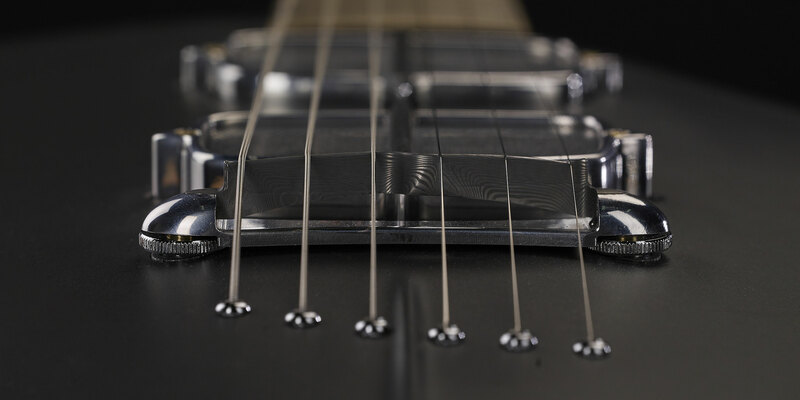 The titanium is lighter, stronger and resonates better than a classic steel truss rod for richer tones across the frequency spectrum. The "One-Piece Master I" is an astonishing engineering achievement that breaks with convention at every step of the construction process. 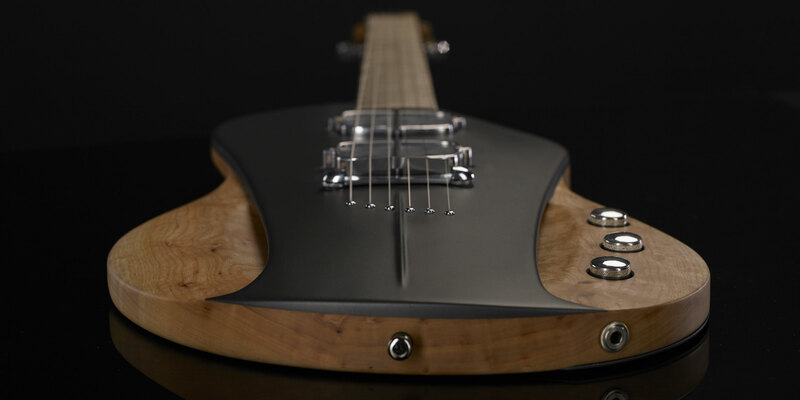 It’s no understatement to call the first Sauvage Guitars' instrument a masterpiece. Beyond its technical excellence, the "One-Piece Master" features some of the finest hardware ever seen on an electric guitar. The strings rest on a woolly mammoth fossil horn nut. Softer than bone and pre-ban elephant ivory, it renders a mellow tone that perfectly balances the natural brightness of the "One-Piece Master". 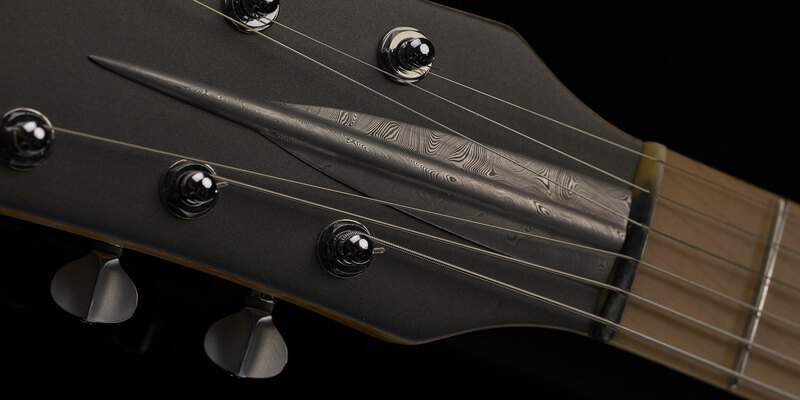 The bridge is shaped from a Damascus steel billet. Initially used by blacksmiths for manufacturing luxury blades and swords, Damascus steel is prized for its distinctive patterns and incredible density. 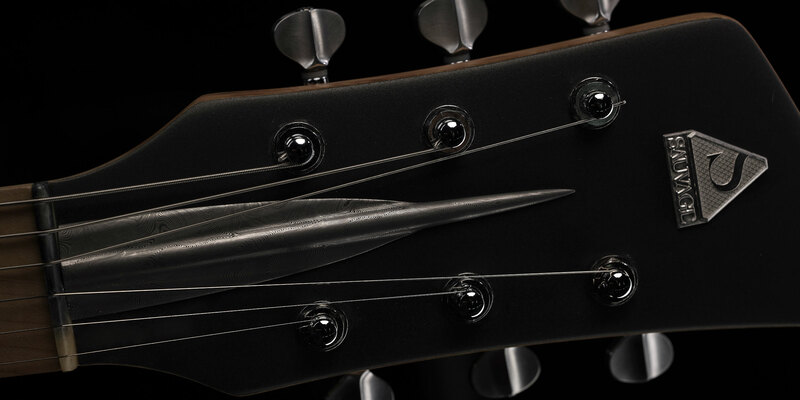 Its use for the bridge gives the "One-Piece Master" a precision and dynamic that defy comparison. The knobs are set on a photo-luminescent Cristallium® plate. The Cristallium® is brighter than glass and the photo-luminescent pigments give it unrivalled glowing properties. The "One-Piece Master" features spectacular pickup tops cut from solid blocks of Fortal. Originally developed for use in the aerospace industry, Fortal is known for its high resistance to corrosion. 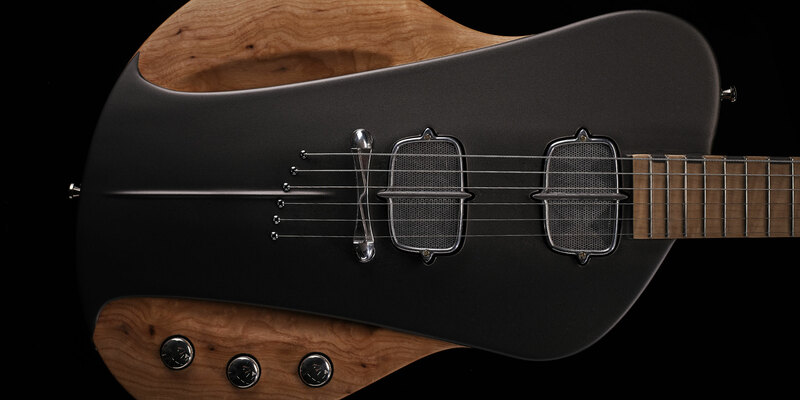 Beneath the outstanding tops the "One-Piece Master" is powered by a custom wound pickup set. 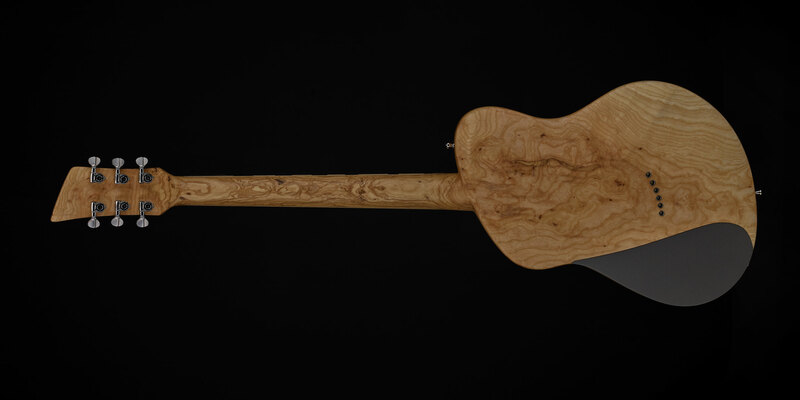 The painstakingly sculpted olive ash burl wood body is a piece of art in itself, and has been kept as natural as possible. The top and the headstock are finished in an elegant Tudor Gray that brings the "One-Piece Master" an incomparable modern-edged vintage spirit. The Tudor Gray finish is from the “Classic Car Colors” collection by Glasurit. The color was made famous by French luxury car manufacturer FACEL VEGA on the notorious HK-500. 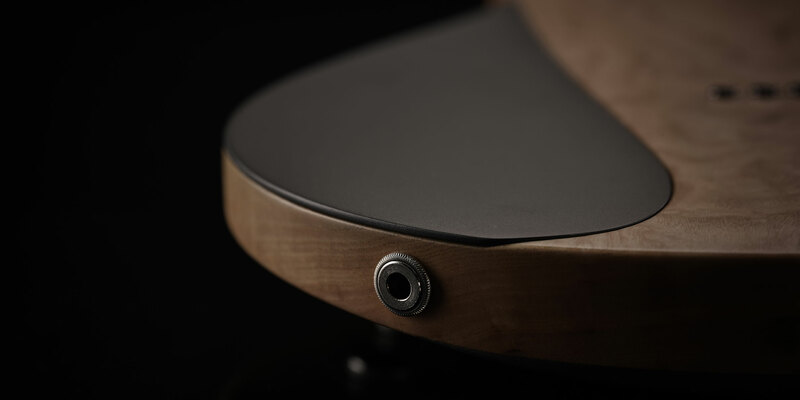 The One-Piece Master rests in levitation in its original piece of wood. 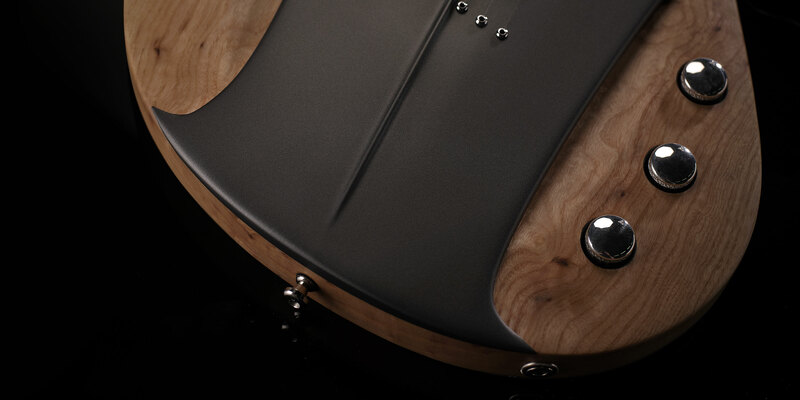 Top & Headstock Facel Vega's "Tudor Gray"